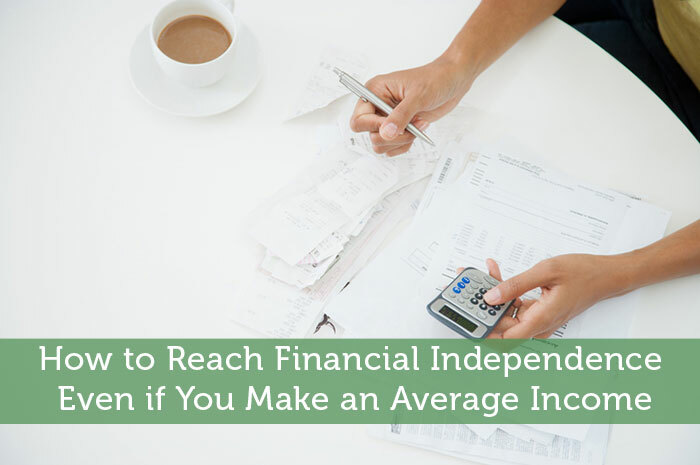 Reaching financial independence is not an easy task, but it is perfectly doable even if you are on a normal income. Financial independence is the state where your passive income covers all your yearly expenses. Building $50 a month or $100 in passive income is not too complicated, but building a nest egg that generates several thousand dollars a month is another story. Which is why, if you learn to reduce your expenses, you can get there much quicker. In general, it is assumed that you can withdraw 4% of your nest egg to live on, and the markets will grow sufficiently for you never to run out of money. So if you need $40,000 a year to live on, you will need a million to retire. If you are able to make it work on $20,000 however, you only need $500,000. That is half a million you don’t need to earn or invest in the markets, and retirement is several years closer. The first step is to write down your budget, to see how much you are living on. And much more. The best way to figure out how much you really spend is to note every expense down for a month. Then add quarterly and yearly expenses such as taxes, insurance premiums… and exceptional expenses like replacing your car or your TV. If that happens every 5 years, divide the amount by 60. It would be unfortunate to plan on having money just for basic needs and being unable to afford better things in retirement. Some expenses you won’t have anymore, such as your mortgage hopefully, or supporting your kids financially. But you will probably want to go on a cruise or join a golf club, and your health expenses will be much higher. So expect to spend at least what you do now. While you try hard to live on less, and get paid more every year as you gain seniority at work, you will have a surplus every month to invest. You can invest it in CDs, stocks, shares, real estate, and much more. Paying off your mortgage early is a great idea, but interest rates are low at the moment and you can probably get a better return placing the money on the markets. Plus, having a paid for house doesn’t mean an income generating asset in retirement. You will need a paid for house plus a nest egg, or an even bigger nest egg to cover your mortgage payments as well. Getting started with investing may seem complicated at first, but once you get around it, it is actually quite simple. Look for a low fee robo-advisor, and invest in index funds to start with. Index funds follow the market, they are diversified, and if you invest a lump sum every month, you can dollar cost average your positions. Sure, the market will have its highs and lows, but don’t try to beat it. The worst thing you can do is get emotional and sell in a recession, only to buy again when the stocks are up, for more than you sold for. Leave the money there and forget about it. Take advantage of tax savings through 401ks and Roth IRAs, and make sure you get your company match. Only invest money you can afford to leave there for a long time. Cashing out a tax deferred account is costly and if the markets are down at that time you’ll lose twice. Through hard work and simple living, combined with smart investing, financial independence is much closer than you think. If, as a household, you are able to live on one income and save 50%, you can become financially independent in less than 17 years.